Measurements: 26mm long with loop x 10mm wide at the widest part. 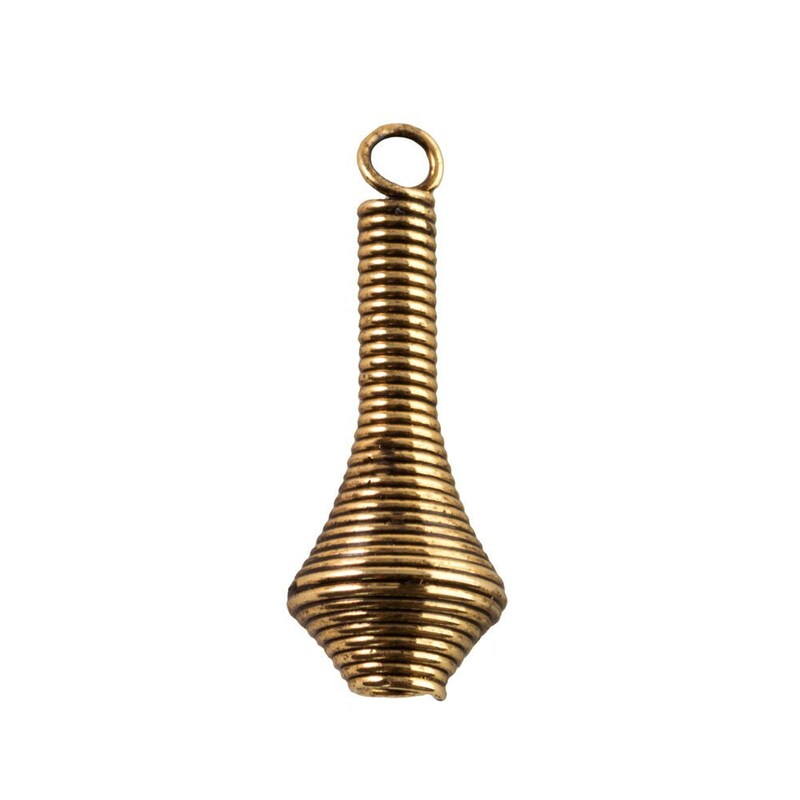 Characteristics: These are a coiled drop with a loop at the top. Additional Information: Areas on these does look spotty in places. It creates a charming rustic look. They may clean up with brass cleaner. Yes! Quick ship, as described, love the items offered!